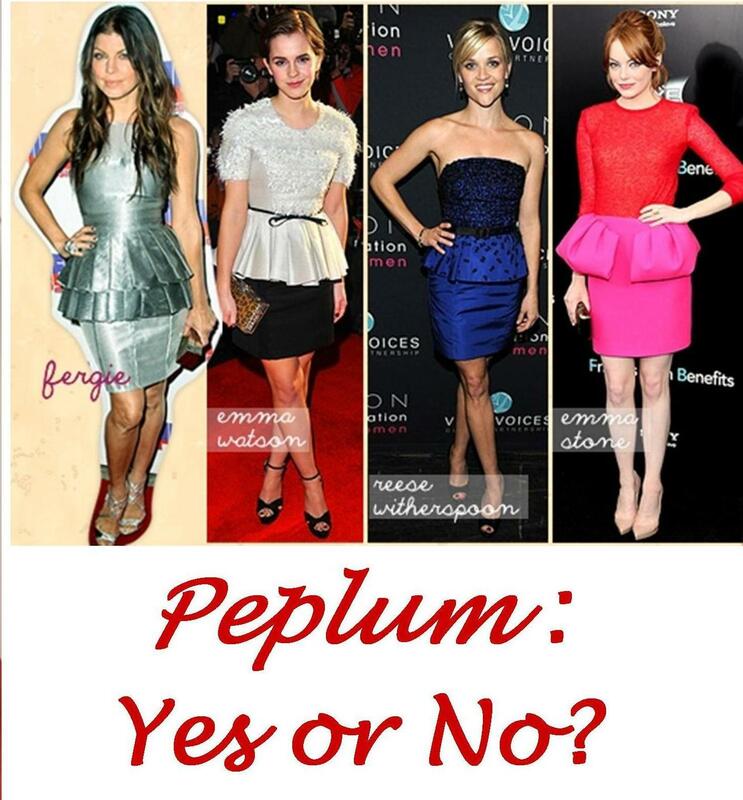 Welcome To Vernal Magazine's Blog: Is Peplum A Trend To Stay Or Go? PEPLUM also known as the waist-clinching ruffle trend is a smart little tailoring detail of a short overskirt or ruffle attached at the waist line of a jacket, blouse, skirt or dress. There is something so ladylike and unique about it as its details enhances a dress' sophistication with a fun and feminine twist. Can peplum be considered as an unbeatable wardrobe must-have? In my opinion, YES. The beauty of it is that it can be worn to anywhere! Movies, office, social events! Name it! 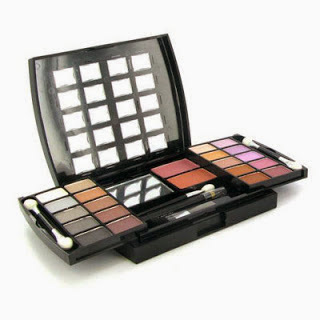 Its perfect for any outing or formal event where you want to look extra special and super stylish. Peplums are fun, jolly and most certainly not a look that only string beans can wear. Beyonce looks brilliant in peplum, so does Liv Tyler and Taylor Swift. This is because wearing a peplum design won't make you look thin but instead helps accentuate your waist-to-hip curves at the same time creating flattering body beauty for most curves. Fashion in Paris is all about finding a look that suits you and sticking with it for decades, its a fair guess to say the peplum was never going to get much of a look-in beyond a cameo appearance on American and Italian fashion editors attending the fashion week, but contrarily it has been accepted as a global trend to be worn by all. Having acknowledged the acceptance of this super fun and sophisticated design, it is important to find the right design, perfect size and length when shopping for a peplum. We all know that popular fashion saying " Don't opt or slip into a dress/outfit because you think it looks good on your friend but because it suits and complements your whole body". Its a fact and this rule also applies to a peplum design. Note that the kindest point for your skirt to end is at the knee or just below the point where your leg narrows. It is also advisable that peplum clings right to your body as this helps give the hourglass vibe and look. (I know you're pondering on it; Yes the Peplum is flirty). Another great idea is to wear your peplum blouse with trousers. This is more flattering on short legs, showing off your feminine silhouette at the same time looking gorgeous. You can also accessories with jewelries or a classy clutch but be sure they complement your outfit. The choice of this exciting trend depends on how much you love your figure and want to get it flattered. On the catwalk, popular ways for a peplum to be styled was with an above-the-knee skirts, trousers, shorts, cropped pants, tight pencil skirts and so on. However, wearing a peplum top with a tight jean is very popular among stars, these tops when paired with stylish bottoms creates illusion of stunning and flawless curves. You can also create your own look and style by teaming peplum effect to a way that best suits your taste. 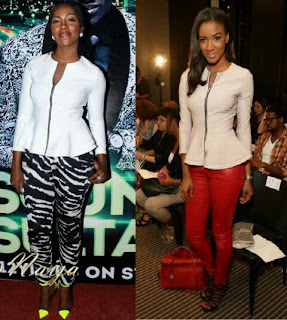 Its not surprising that in recent times, many celebrities are seen with their own super stylish and elegant peplum designs both on the red carpet and in everyday street style from Kim Kardashian to Tiwa Savage, Kristin Cavallan , Gwen Stefani, Fergie, Blake Lively, Victoria Beckham, Genevieve Nnaji and so on. These fashion lovers are making their impact among crowds and giving us reasons why we shouldn't stop loving them. The waist clinching ruffle is a trend and design for all and its definitely unwise to hold back from its beauty and elegance as it has an awesome way of adding an edgy, ultra feminine and flirty beauty to your look. Available in all kinds of print and fabrics, peplum is a key trend on the high street and great for those who want to add a perfect ladylike flair to their ensembles.This must try, so don't be afraid to try it if you haven't. This trend that seemed destined for a limited release became a long-running at topshop blockbuster. Peplums are the new normal and that's brave and different! 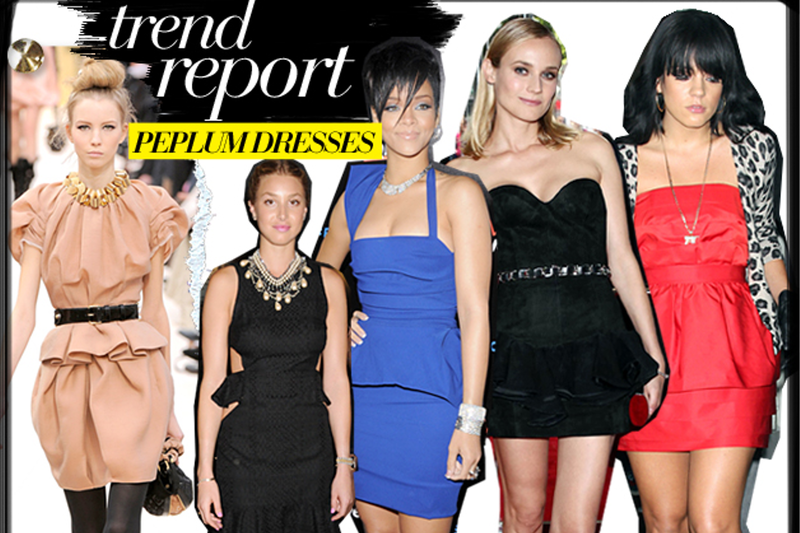 So ladies, in your opinion, is peplum a trend to stay or go?